A large hunk of metal in the shape of a human occupies a public space—maybe a park. Thousands of statues around the United States and world fit this description. Many depict people who have done hideously immoral things. Almost all depict morally imperfect people (with baby statues, perhaps, being the exception). It’s intuitive, I think, that some statues should be left in place and some should be torn down. 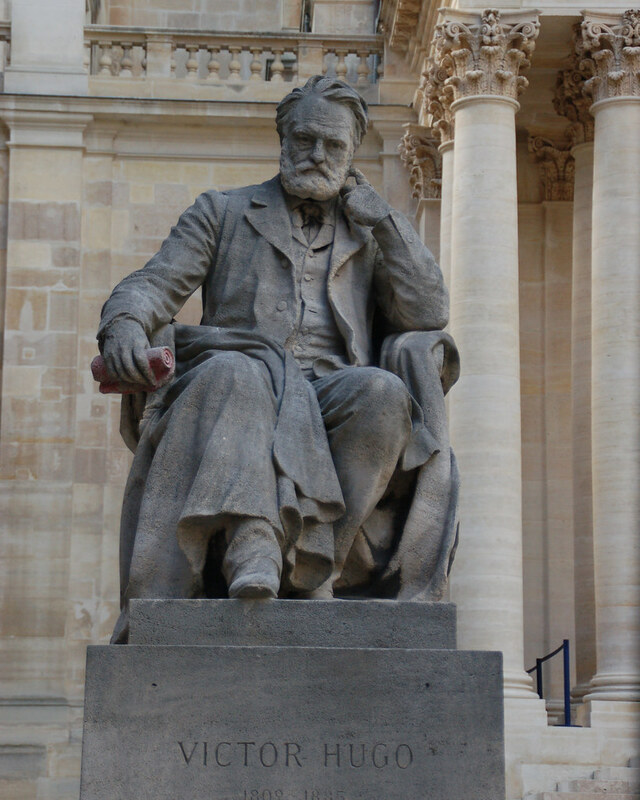 This statue of Victor Hugo should stay, in order to commemorate the man and his great works; the Hitler statue whose remains are captured here, however, deserved destruction. But what principles determine which statues should be torn down? More specifically, what principles determine the morality of statue preservation? The occasion for this blog is this past weekend’s events in Charlottesville, VA, along with its aftermath in public discourse. I can’t, of course, enumerate all principles pertinent to the preservation of public statues, but I want to make a point that might inject more clarity into our national polemic. The outlines of the weekend’s events are well known but worth rehashing. White supremacists—white nationalists, neo-Nazis, alt-Right, and KKK—gathered Friday night and Saturday to protest the removal of the Robert E. Lee statue from what was Lee Park and is now Emancipation Park. The supposed rationale for the protests was the preservation of “heritage” and “history.” But swastikas and chants such as “Jews will not replace us!” revealed the protestors’ underlying racism. Many counter-protestors gathered on Saturday to fight that racism. Sundry scuffles broke out. But the horrific violence was when one of the racists, James Fields, rammed a car into a crowd of counter-protestors, killing one, Heather Heyer, and seriously injuring nineteen others. President* Trump’s responses were deplorable (* = lost the popular vote). On Saturday, he condemned violence “on many sides” without a mention of racism. On Monday, he finally condemned the racist elements of the protest in a wooden, scripted performance that left many questioning its sincerity. Then, in a disorderly press conference in Trump Tower on Tuesday, he defended the preservation of the statues of Confederate leaders, such as the Lee statue. George Washington was a slave owner. Was George Washington a slave owner? So, will George Washington now lose his status? Are we going to take down — excuse me — are we going to take down — are we going to take down statues to George Washington? (CROSSTALK) How about Thomas Jefferson? What do you think of Thomas Jefferson? You like him? (CROSSTALK) OK. Good. Are we going to take down the statue? Because he was a major slave owner. Now, are we going to take down his statue? The widespread reaction to this argument has been to loudly denounce the idea that there is a “moral equivalency” between, say, Jefferson and Lee—and then to move on. But I think we should do better. If the morality of preserving a statue were simply a function of whether the person portrayed had ever done morally despicable things, then the Jefferson statues probably should come down (regardless of whether or not his immoral deeds were “equivalent” to those of Lee). Jefferson did own slaves. Furthermore, if we treat Trump’s question as genuine, as opposed rhetorical, it becomes a special case of the general question with which I started: which statues should be torn down? And how we answer this question has tremendous implications, since there are so many statues. Can we do better than just assigning degrees of moral turpitude, with Jefferson the man falling above some arbitrary threshold and Lee falling below? I think we can. Public monuments don’t just commemorate people; they also commemorate actions. In contexts such as public parks, they symbolize approval either (i) of the action depicted by the statue or (ii) of the action or deeds for which the person is or was famous. This statue, to take an arbitrary example, doesn’t just commemorate B. B. King; it celebrates his guitar playing. Public monuments declare (albeit nebulously), “Yes, more stuff like that!”—where that is an action type. Hence the difference between Lee and Jefferson statues is not merely a matter of moral degree but in moral kind. The action represented in the Lee statues, characteristically, is leading the Confederate Army, which existed to defend slavery. Jefferson statues commemorate the action of writing the Declaration of Independence, among other acts of statecraft. Only the Lee action in this case is morally base. 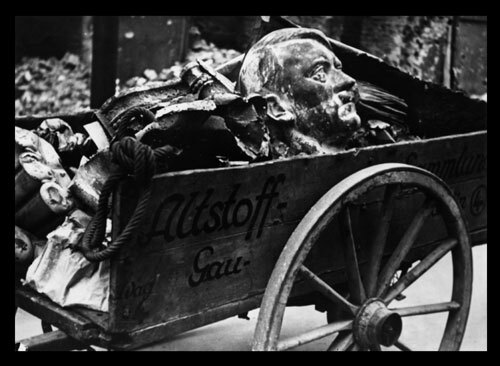 Insofar as the statue commemorating that action declares more like that!, the statue should be removed. We can make this point even clearer with a pair of hypotheticals. Suppose we found somewhere a statue of Jefferson chaining one of his slaves. Should we remove it? Absolutely. Why? Because it would commemorate the wrong action. On the hand, suppose the Charlottesville City Council decided to replace Lee on a horse with a different Lee statue: a grandiose rendering of Robert E. Lee, Confederate General, as he signs the surrender to Union General Ulysses S. Grant. Whether or not Lee was overall a bad person, the action depicted in a Lee statue like that would be worth celebrating. Under that circumstance, I would even support keeping his name on the park. -Shatter, shatter, O my brothers, those old tables of the pious! Tatter the maxims of the world-maligners! The second things to remember is that the man’s circle of society (however widely or narrowly this phrase may be understood), is a sort of loosely compacted person, in some respects of higher rank than the person of an individual organism. It is these two things alone that render it possible for you- but only in the abstract, and in a Pickwickian sense- to distinguish between absolute truth and what you do not doubt. Santayanna said something like: refusing to learn from history dooms us to repeat it. When we look at things, it appears he was spot on. One thing puzzles me most. History is what it is; good, bad, or indifferent. Now it seems we have a movement to erase those monuments that some NOW find objectionable. After all these years, we wish to deny that men like Lee and Jackson ever existed? Would we then also deny that we ever had a civil war? To what ends will we go to placate political correctness? Dictators and despots love it when their subjugants forget their trespasses. It simplifies further subjugation. Is this what we are about with all of this chicanery? Hey, someone help me out here. As much as I hate Donald Trump, he was dead on when he compared Robert E. Lee to George Washington. I'm frankly amazed by the arguments people have conjured up to trivialize the comparison. Some argue that Lee was worse because he fought for the perpetuation of slavery. Isn't that what George Washington did? We're told that he fought the British in order to create a democratic republic - yet the fact that he owned slaves stands out like an airport beacon. And it doesn't end there. Washington was an aristocrat who spat on his own soldiers. How did Washington and Jefferson treat Native Americans? I mean, Native Americans are humans, just like African Americans, right? I think a key concept people are missing out on is EDUCATION. Commemorating some famous individual with a statue might be OK in a historical sense, as long as steps were made to educate people regarding the truth. But when schools across America celebrate Presidents Day by studiously ignoring mention of Washington's slaves or Abraham Lincoln's role in the Native American Holocaust, then they're effectively helping to brainwash millions of children. I'm working on a book about symbols of the 50 states (Geobop's State Symbols), and I'm stunned by the number of symbols across the nation that are politicized and often misrepresented. From South Dakota's Mt. Rushmore to the slave owner on Washington State's flag, the problem is hardly limited to the South.